Corsense Institue | Dedicated to the Philosophy, Science, and Technology of Love. This institute follows the work of Professor Pitirim Sorokin who, while at Harvard University during the mid 20th century, established The Center For Creative Altruism. This Center was founded by Sorokin to scientifically study the phenomenon of love and to determine if and how it could be more deliberately �produced� and more scientifically employed at individual, family, and societal levels. Sorokin's Center at Harvard was closed in the 1950's. 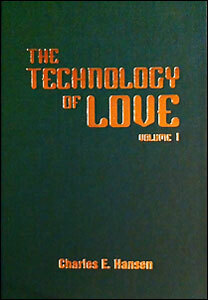 Since that time, many works on love have been published, but none have resulted in the realization of love as a broadly applicable technology which was Sorokin's unattained goal� This stalemate of Love, however, is now broken with the 2005 publication of �The Technology of Love,� authored by Charles E. Hansen. WHAT HOLD DOES LOVE HAVE ON US HUMANS? Is there any more important question for the 21st Century?? IS THE UNIVERSE HARD-WIRED FOR LOVE? "The greatest enterprise of the mind has always been and always will be the attempted linkage of the sciences and humanities. The ongoing fragmentation of knowledge and the resulting chaos in philosophy are not reflections of the real world but artifacts of scholarship." �.Consilience; Edward O. Wilson. Read why such linkage is now possible and practical�and scientific. What happens when we subject Love to scientific methods? The results may shock even staunch sociobiologists�and will surely jolt those who hold to an unbridgeable chasm between Science and morality, or between Science and Religion. "According to Freud, 'Love holds everything in the world together.' In his last major work Freud held that our whole world civilization will eventually be dominated by Love, not Justice; and he was writing of Love or Eros 'in its broadest sense,' not just "sexual love" with which he is generally identified. Here is the beginning blueprint for this endeavor. And if we don't start world-wide and soon, Freud will also be correct: we will need to keep building more prisons and fencing more borders, eventually even our own neighborhoods�"
"This makes Love simple enough to teach in elementary schools, yet comprehensive and challenging enough to be studied at our universities. From now on, every human can know exactly how to generate Love." Why is it a �must read� book? ©1983-2005 Charles E. Hansen, Corsense Institute. All Rights Reserved.